But who set that standard? When? Why? 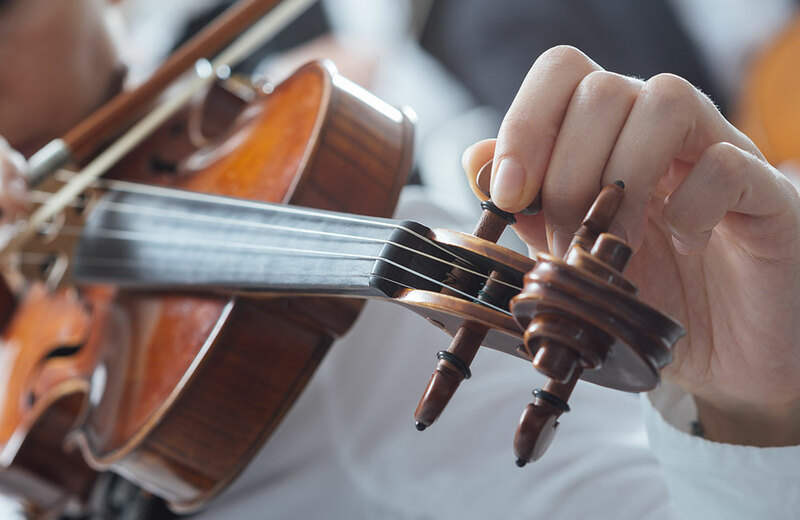 The history is murky – violin makers didn’t play a role, as violins, violas, and cellos are fairly adaptable to all circumstances – but it has a parallel in time zones and cross-continental railroad travel that began in the 19thcentury. Prior to the 19thcentury time varied from village to village and country to country. But with the railroads, it became more important to have coordinated schedules for arrivals and departures. This is when standardized time zones came to be. The analogy to musical standard tuning finds its forensics in old pipe organs and old tuning forks. Organs in Germany that were built prior to 1600 had the A above the middle C varying between 377 Hz to 567 Hz, roughly a half note above and below the current 440 Hz standard. What changed this was the rise of the star composer-musicians Handel and Mozart, who themselves and their scores traveled farther than their predecessors in the 17thand 18thcenturies. They favored a standard pitch of about 422-423 Hz. This was followed by improved building methods of concert halls that satisfied larger audiences in the 19thcentury, which coincided with the development of new and better instruments. To achieve “high, brilliant pitches at climaxes” (according to Lynn Cavanagh, A brief history of the establishment of international standard pitch a=440 hertz), which worked better in these bigger venues, wind and stringed instruments were built to a higher pitch standard. Given all that happened in Europe in the 20thcentury, consider how some of those centuries-old German, French, British and other pipe organs may well hold a stubborn adherence to different, non-standard tuning. They might not fit musical tones a modern world but they give us a glimpse of what musical pitch was long ago.